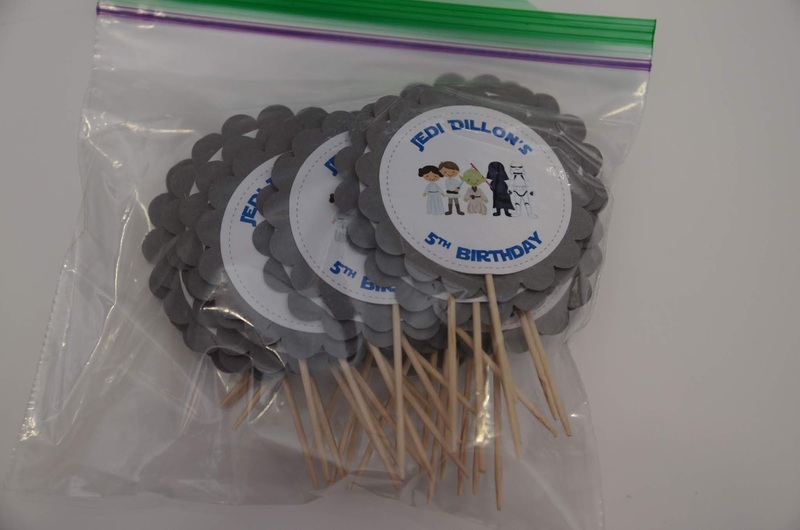 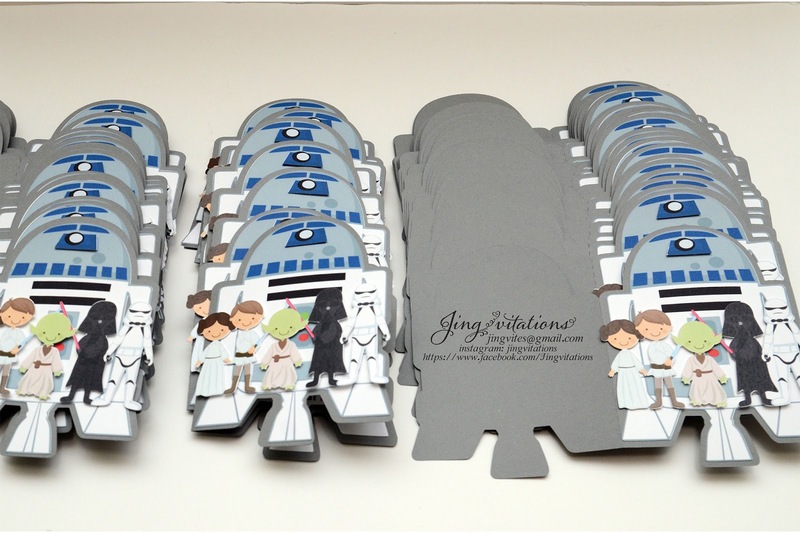 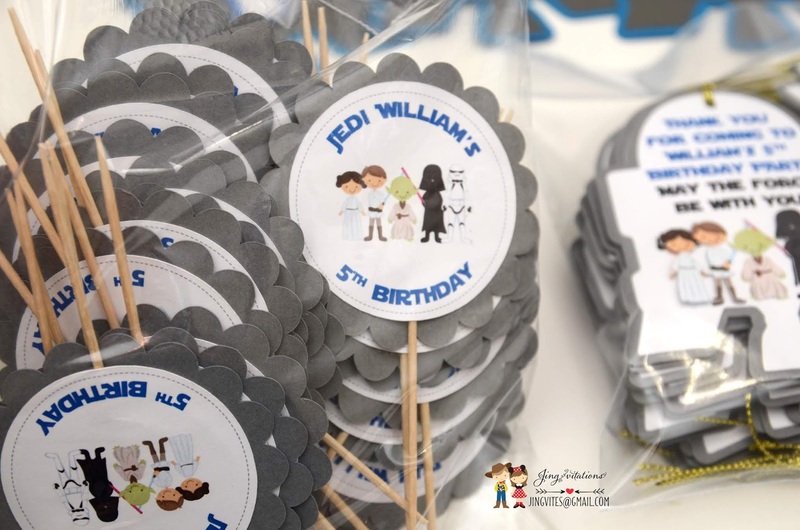 Star Wars Invitations, Party Banner, Gift tags, Cupcake Toppers! 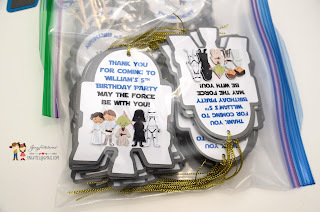 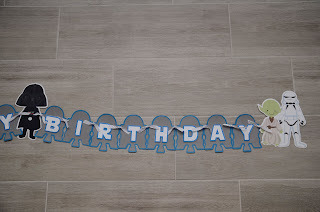 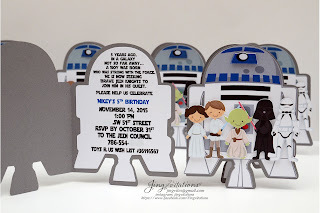 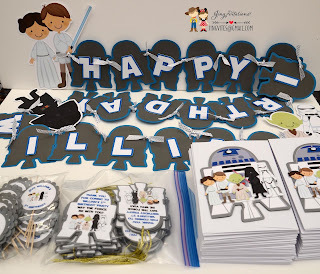 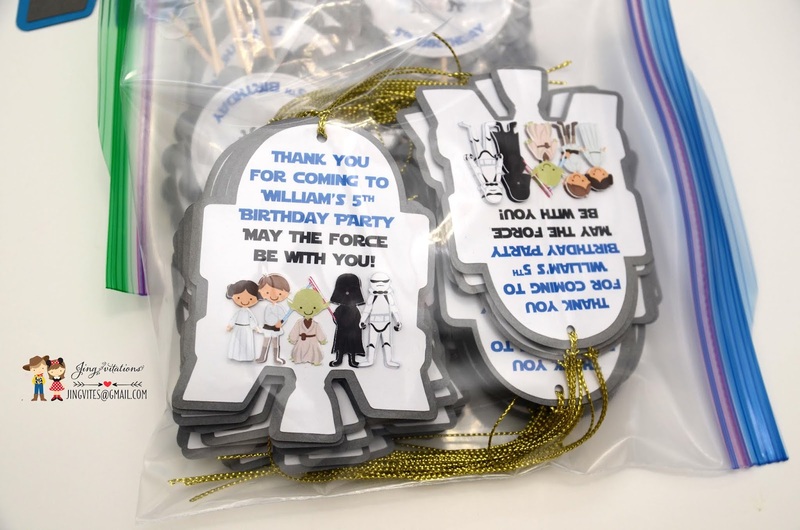 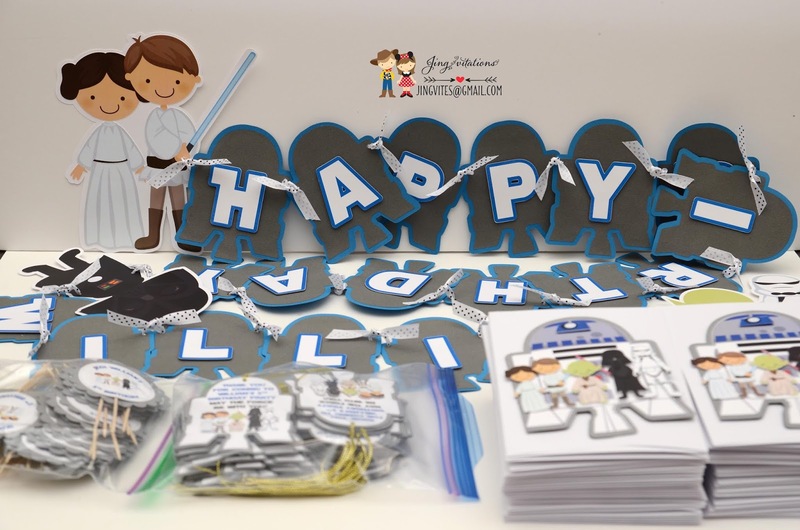 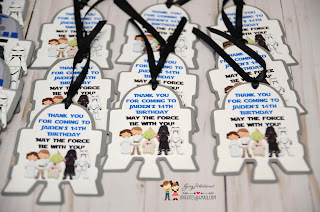 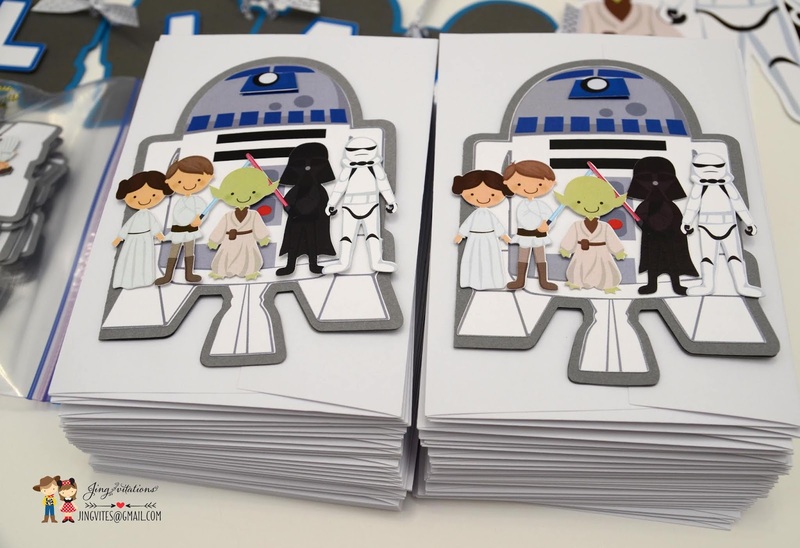 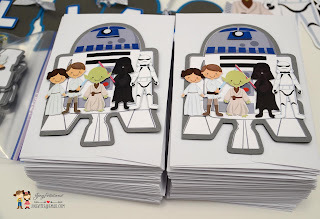 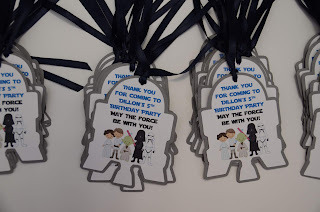 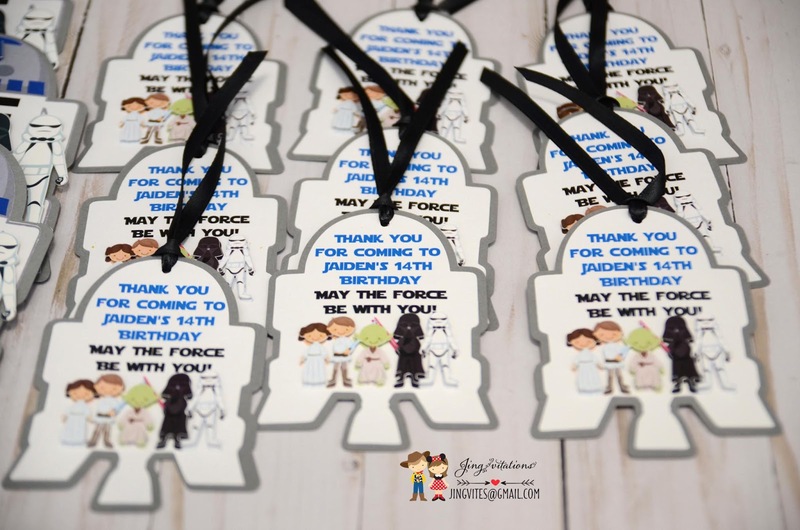 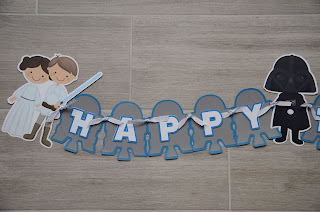 Star wars invitations and party decorations for birthday party. 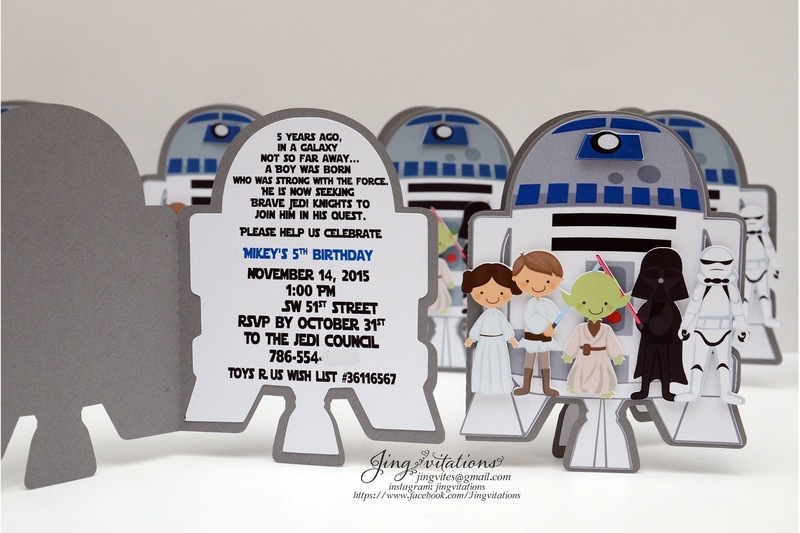 This unique, handmade invitation took me weeks to design. 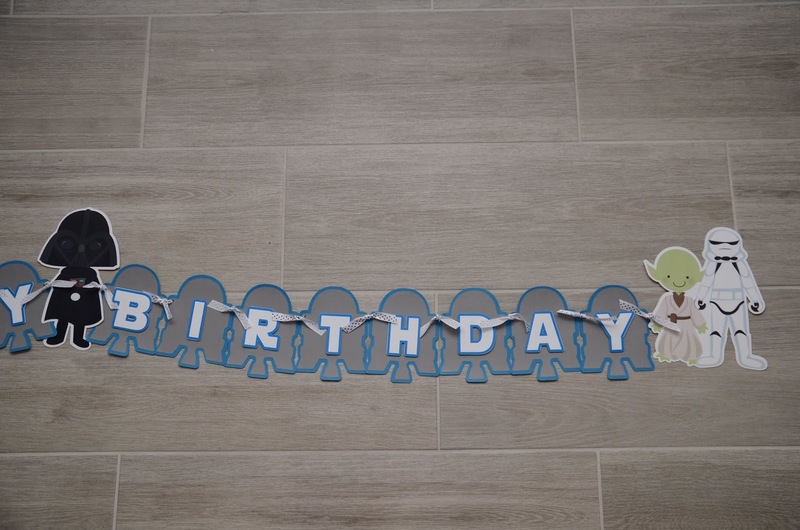 I made something very unique and not like any other. 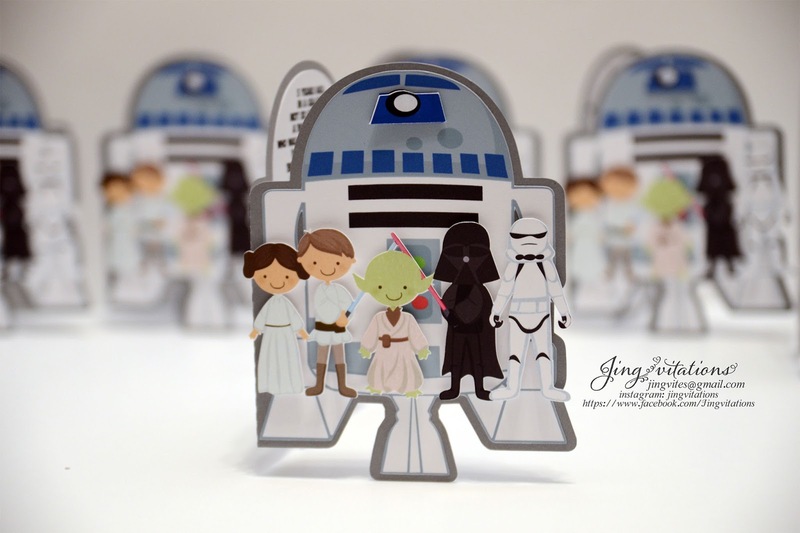 The hard work paid off after I finally put them together. 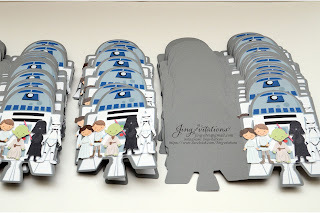 R2d2 shape card with the characters in front.